"We Are One In Christ: A Pastoral Letter on Fundamentals of Christian Anthropology"
Reading and Study Guide for Pastoral Letter "We Are One In Christ"
The Reflection Guide serves as a 5 week program where the entirety of the Poverty at the Crossroads document is divided into five weeks that also include supplemental reading and discussion questions. The Reflection Guide could be used for individual reflection or within small groups. The goal of the Reflection Guide is by through prayer and learning; individuals will be spurred into action to bring Hope to those who are poor, suffering, alone or are living on the margins. As you go through the reflections, we want to hear from you. 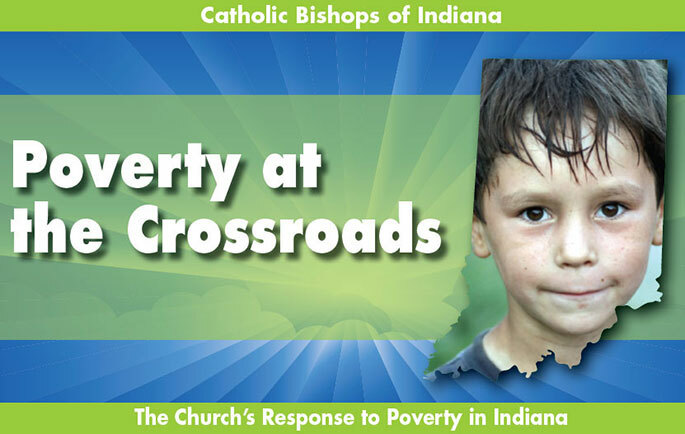 Please provide us with your feedback at ReducePovery@archindy.org.